Fill out our simple form and get quotes from local BBQ caterers. 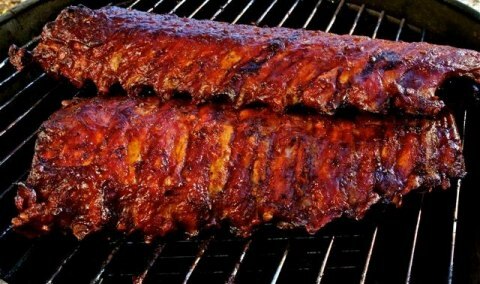 Hiring in a BBQ caterer for your event will be a cost effective crowd pleaser. For garden parties, fairs, sporting events, weddings or festivals, BBQ food is one of the nation’s favourites. Choose specialty meats or cater for everyone and offer a range of meat, fish and vegetable dishes. Our BBQ catering suppliers have it all covered, so get in touch and begin planning your event. Our BBQ'S are second to none, with various marinated meats to choose from, we are sure to make your taste buds wake up. We all so provide Halal options. We specialise in Texas-style slow cooked pulled pork brisket. You can find us with our flamed grilled beef burger, sausage and hot dogs at events in and around Manchester. 'We Farm it, We Cook it' We pride ourselves on our birth to bun trace-ability. Every burger that we serve out of our Happy Herefords catering fleet has a name. Everything is made by ourselves. A great range of BBQ foods from burgers and sausages to rump steaks with all of the trimmings. This makes a wonderful addition to your outdoor event. We use the butcher's best products for our bbq’s and fresh rolls! Never frozen. Some bbq caterers may have a lower price for any children's meals. If there will be no children, please leave blank. The American Pit BBQ Co is a unique barbecue provider with recipes from the deep south of the USA and Mexico – offering authentic smoke pit taste across a wide and varied menu. Specialising in pork, beef and chicken cooked slowly over a wood fire pit, The American Pit BBQ adds a unique element to any wedding or event. This may vary according to the nature of the event. For public events, for example, it’s important to identify: the number of visitors expected; the number of food vendors allowed; if there’s a site layout? ; and whether you have your own agreement document. Timings, budget and an indication of your specific food requirements are also requested. It’s important to check that vendors are safe. Do they have suitable insurance and food hygiene certificates? Can they 'move' from their main offering in so much as can they accommodate menu changes if needed? Many vendors may not be able to accommodate such changes. The American Pit BBQ Co and it’s daughter company: The Themed Event Catering Co, was born out of requests for my cooking skills at a private level, initially. As a professional Chef I have worked the 'circuit' of restaurants, hotels, contract catering, banqueting and sport hospitality; I have been able to draw on these experiences to bring catering to private and public events. I was initially looking at Hog Roasts as an addition to private 'Chef at Home' services, but after visits to the USA I decided that we could do better than that and bring in Pit BBQ which was growing in the Street Food scene here in the UK. We started by looking at public events but since becoming more deeply involved with Add to Event, we have been introduced to more and more private event organisers for corporate and private events. Add to Event has become the mainstay of our sales funnel. We have had a number of great bookings through Add to Event. One was for a team celebration in a private house for a major Accountancy firm’s branch here in the Midlands. We pitched for the work and on acceptance carried out a site survey. We pitched up to a beautiful 500 year old mansion house and met with the client to decide locations, power, waste etc. The location was stunning! On the day, we served nearly 200 meals and all went smoothly on our part. The client was really pleased with the offering as it met the expectations of the age group of guests. We are being considered for the party this year already. We would never have known about this event if it was not for Add to Event who put the opportunity in front of us. I always promote Add to Event to my colleagues in the eventing market; and the incentive for doing it by adding credits is welcomed. The combination of the delicious smell, the competition to be head chef and the promise of a sunny day make BBQ food a British favourite. When organising larger events, barbecue catering can be a cost effective option. It allows a large number of guests to be fed quickly, easily and relatively cheaply. Outside catering can sometime be a little tricky, but a BBQ lends itself perfectly to any event, how about having BBQ wedding catering for your big day? Take the reins yourself, or have the cooking and serving all done for you – it’s up to you. Keep things simple with a set menu of options or offer specialist or unusual options to spice things up. Our BBQ suppliers include hog roasts, specialist sausage companies and exotic meats. 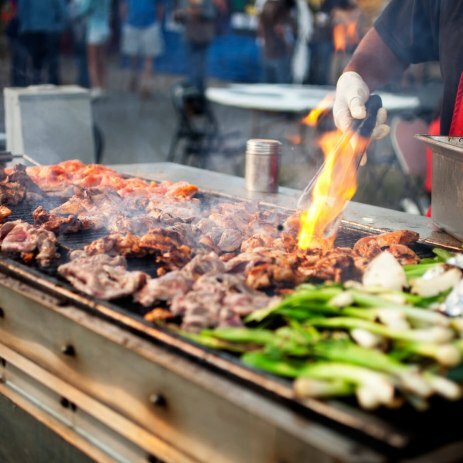 Find a BBQ caterer for your event by requesting quotes today.